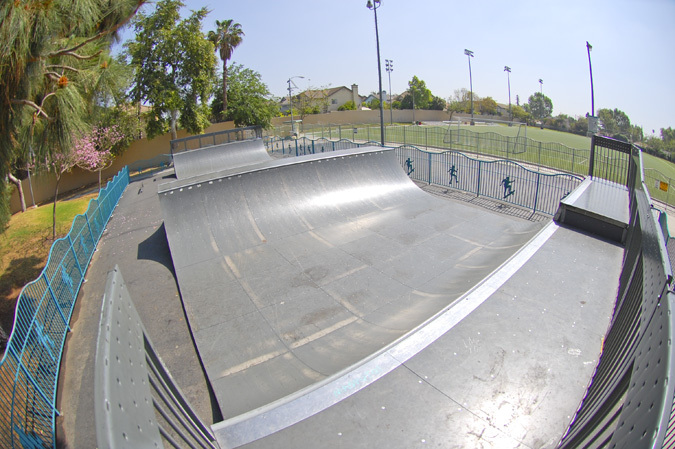 A slick prefabricated 5ft metal half pipe with a 6ft extension.The coping slides well and the asphalt court the ramps sit on are smooth. 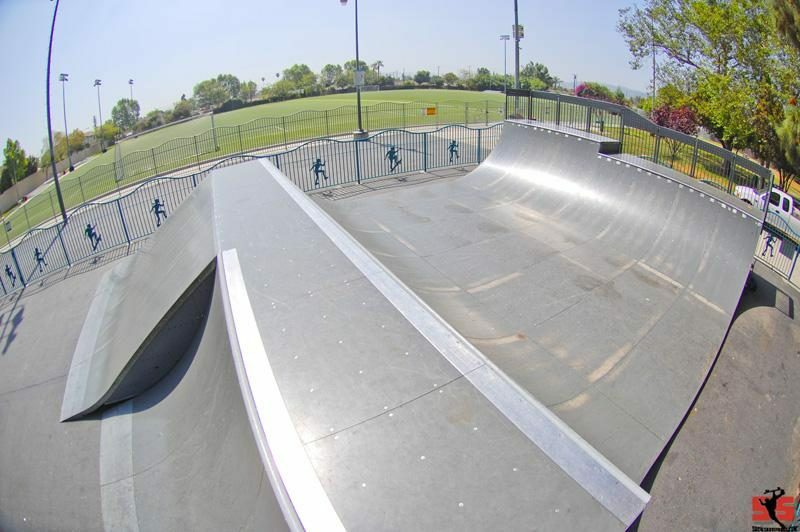 Behind the half pipe there is a bank and quater pipe and its possable to transfer out of the half pipe to either one. After the transfer sits a long 5ft quarter pipe beside is a round flatrail tucked away.